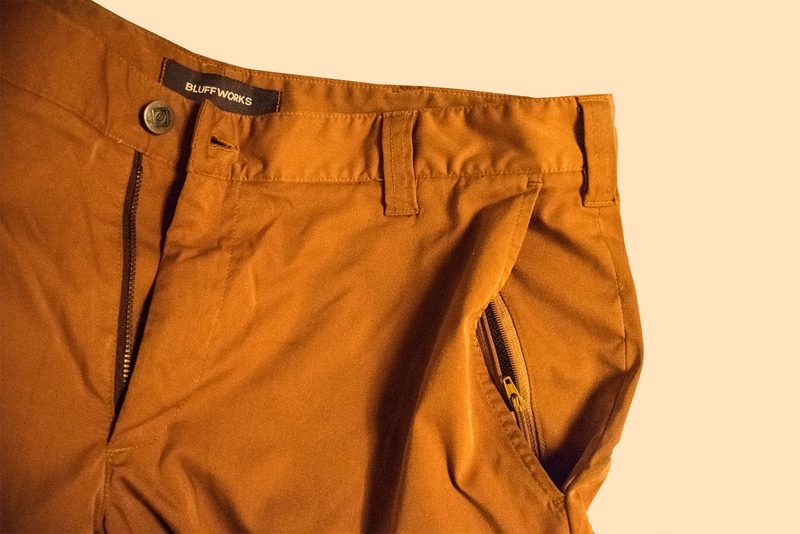 I’ll cut to the chase: The Bluffworks Chino is an excellent pair of travel pants, and you should get a pair. The end. Chilling by the Lake in Queenstown, NZ. I first stumbled upon the Bluffworks travel pants via a quick google search. 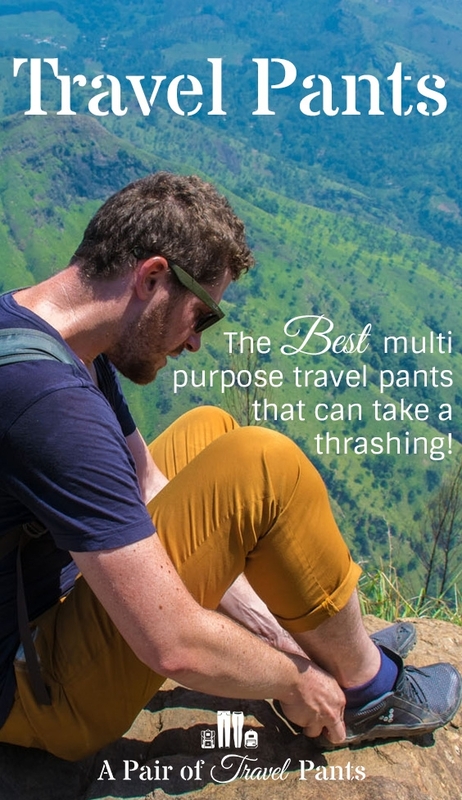 I figured that I couldn’t be the only person in the world who wants a nice serviceable pair of pants that are made with travel in mind, which aren’t baggy as hell, or accompanied by an excess of pockets. Bluffworks were billed as pants that you could wear to the office (if you have one), and then climb a mountain without getting changed in between. That coupled with the extra pocket related features left me intrigued. How/Where Did I wear Them? 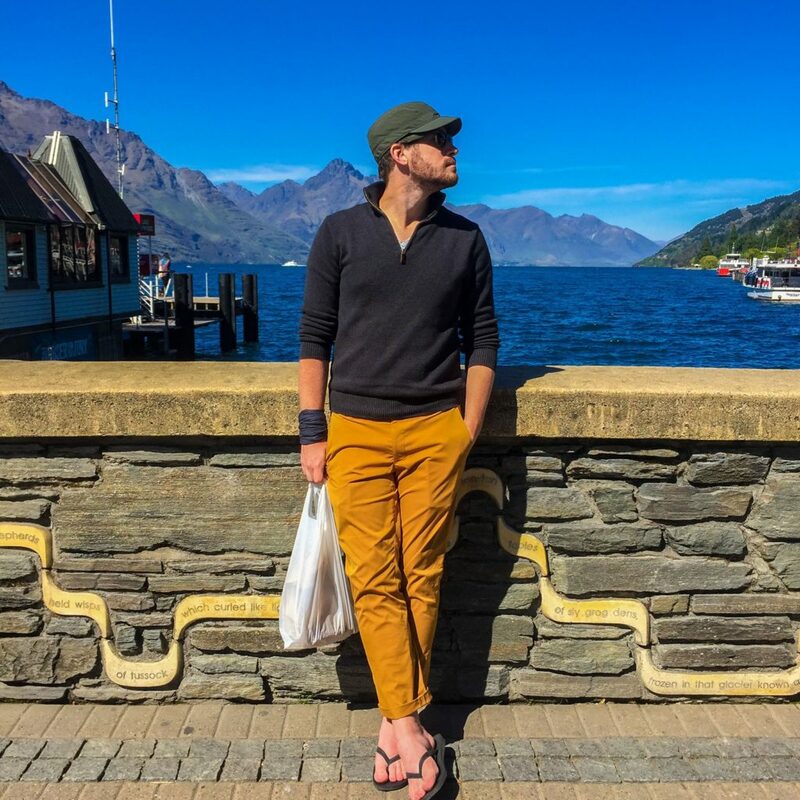 These pants saw me through a wide variety of locations and climates: hiking in New Zealand, temple exploring in Sri Lanka (in some hot hot weather), the cities of Japan (in some decidedly not hot weather), and everywhere in between. They’re pretty water resistant, you can pull cool party trick by pouring a glass of water over yourself and amaze people as the water just beads and falls right off without soaking in, but if a downpour they’re still going to get wet. I was a little hesitant that a synthetic material might be too hot and sweaty in humid climates, but they really did a good job, and were decidedly cooler than a pair of jeans. In addition to using these as my primary pair of pants while traveling, I’ve also worn them a bunch around town. They look good enough to dress up a bit with a button up shirt, if you’ve got to go business casual, but wearing them with a t-shirt is perfectly fine as well! I’m a jazz musician, and I’ve worn them on gigs before without feeling out of place. I personally like to wear them with the cuffs rolled up a couple of times. I tend towards slimmer fitting pants in general, so these pants fell a little looser than I’m used too, especially around the heel. Rolling the cuffs helps with this, and also matches my vaguely “hipster” dress sense! It also has the added benefit of giving that little bit more airflow in hotter climates. 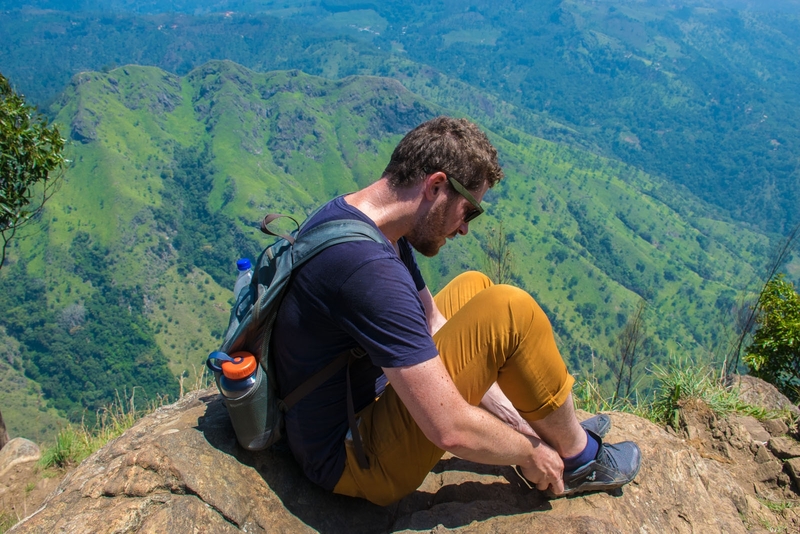 Hiking in Sri Lanka. Note: Rolled cuffs. Fiji – Hot. Mostly spent lazing by the beach, so I really only wore these pants when traveling around. 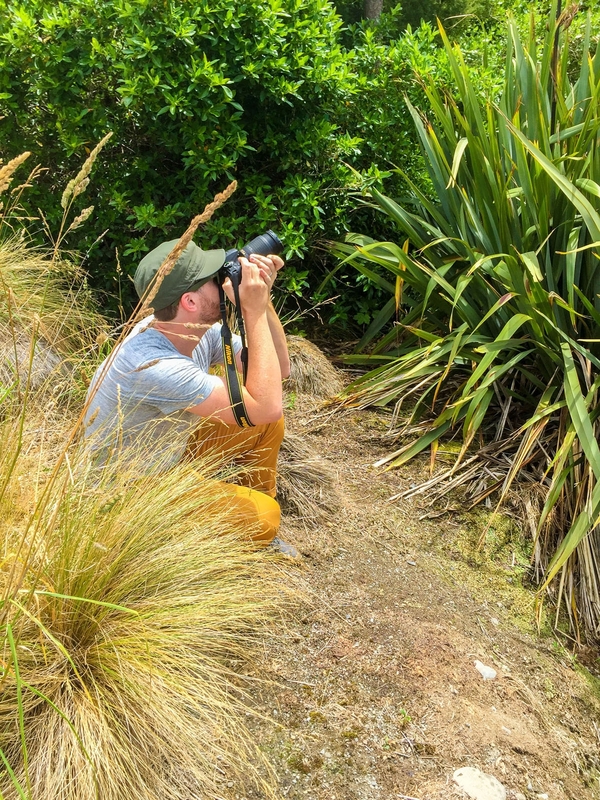 New Zealand – Ranged from pretty warm to downright cold. I wore these pants out in town, hiking up mountains, and as my dry pants while doing a rainy multi-day hike. Australia – Very hot. I wasn’t too active here. I wore them while hiking up Mount Lofty in Adelaide, but mostly just wore them around town. Singapore – Hot and wet. I mostly stuck to shorts here, but again relied on these pants as part of my transit outfit. 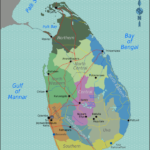 Sri Lanka – Mostly hot, but cool at night in the mountains. Some of the Buddhist shrines and temples require certain levels of dress in order to be respectful. I saw some people get away with a long pair of shorts, but I felt more comfortable wearing trousers like the locals. I also did a bit of hiking in these pants while we were in the mountains. 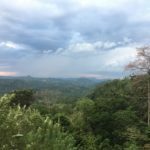 Thailand – Mostly hot, but cool at night in the mountains. Again, in certain locations it felt more respectful to wear long trousers, but mostly I stuck to shorts here. Cambodia – Very hot. 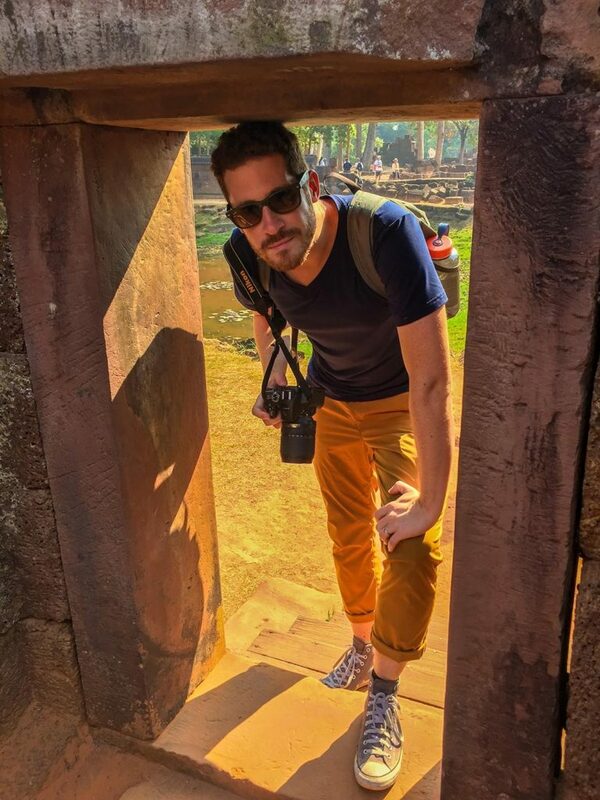 Similar to Sri Lanka and Thailand in terms of being respectful, I wore these while exploring Angkor Wat. Vietnam – Mostly very hot, but cool/temperate at night in the mountains and further north. 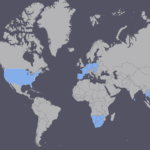 Another “mostly shorts” country. In the cooler hill country I resorted to these pants again. Hong Kong – Mild. We were there towards the end of winter, so I stuck to wearing these pants most of the time. Japan – Mostly cold, with a few warm days. 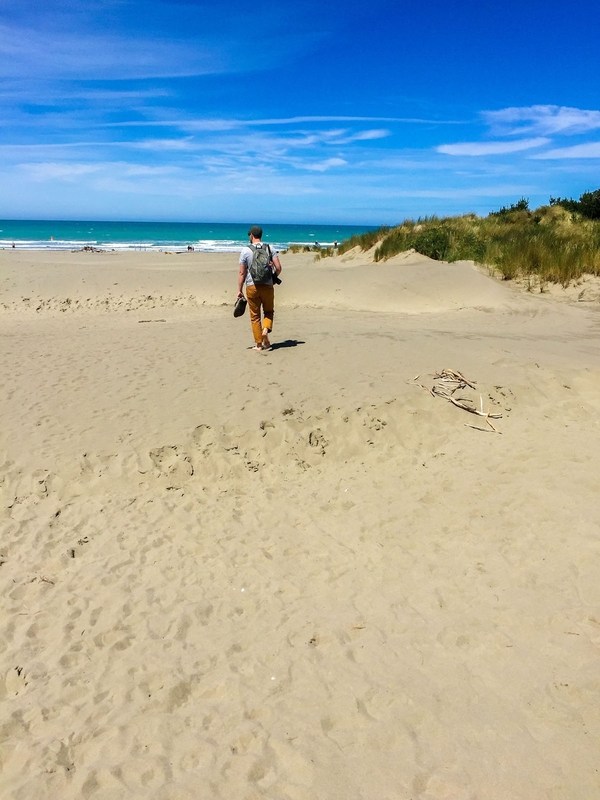 France – Mostly cold, with some warm days. Germany – Cold, with some warm days. Poland – Cold and rainy. I ate plenty of delicious, stodgy, Polish comfort food, and thankfully these pants accommodated me. Hungary – Mostly cold, with some very warm days. 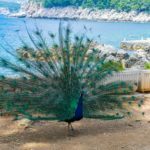 Croatia – Hot, with a few rainy days. We did a lot of driving and some hiking in here. They were great to wear while driving, as they really do breath better than other pants I’ve owned. South Africa – Mild, with some hot weather. Lots of driving, and some hiking. Namibia – Hot. Lots of driving. Botswana – Hot. More driving. Zimbabwe – Pretty warm. I got absolutely soaked at Victoria Falls. Within about 30 minutes of getting away from the water, my pants were dry enough that I didn’t even noticed I’d been so sodden. 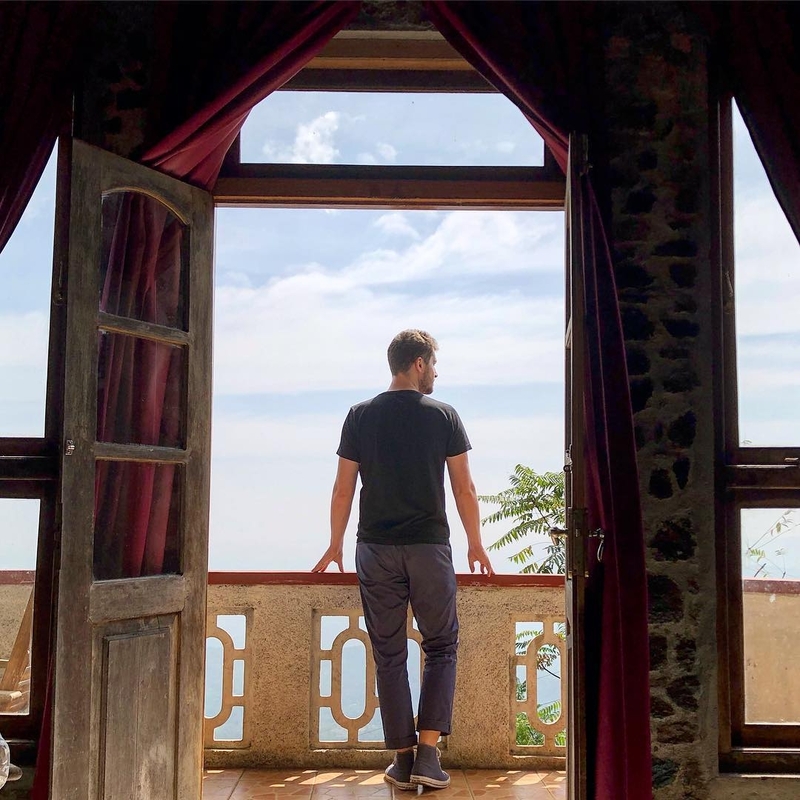 Morocco – Mild to cold. Mostly worn just while exploring the towns, and transiting between them all. We did a little hiking here as well. 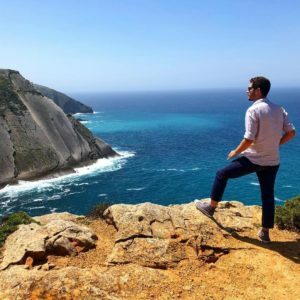 Spain – Mild to warm. A lot of exploring and wandering around towns. Plenty of driving as well. Portugal – Mild to warm. More exploring, and walking around towns. Looking out over the hill country in Sri Lanka. With that said and done, why not a handy list of pros and cons? These pants are super light weight, and if you use the roll method of packing, they take up very little space and add very little weight. Here they are rolled up with an A4 (letter) sized book for scale. Because of this these worked perfectly as my “dry pants” when hiking in New Zealand. 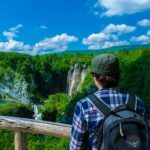 Since I first wrote this review, we’ve traveled again! This second big trip, I took two pairs of these pants: my original harvest gold, and the new navy blue. The luxury of having two pairs of pants, all without adding much in the way of weight or volume was fantastic! Unfortunately, I had some of my stuff stolen pretty early on, so I was back to a single pair (thankfully, I was left with my newer pair!). Here comes the issue with the colour. I loved it, when it arrived, however after a few weeks of hard ware in Sri Lanka, parts of the pants started to get a dark tinge. Possibly from sitting on all the old dirty buses for hours at a time? Who knows? All I know is that washing did not remove this tinge. Getting a darker colour would cover you against this problem. The downside of this solution, is that the only truly dark colour they have, is charcoal! I’m a navy kind of guy, and would snap that shade up in a heart beat. Get on it, Bluffworks! Soon after writing this review, Bluffworks noticed, and let me know that a navy blue version was in the works… They’re now available! Score! Me rocking my new navy pants in Portugal! Resilience. Bluffworks has it. I wore these pants exclusively for long portions of our 6 month trip, and aside from the aforementioned slight discoloration, they’re barely showing any wear at all. I wouldn’t hesitate to throw these in to my bag for the next trip. A question I’ve been asked, is whether the fit changed at all in the time that I’ve owned them. 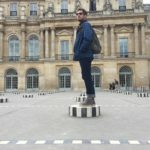 My experience thus far, is that there has been zero wear and zero stretching. The navy pair I have still look good as new, and the pants fit exactly as they did when I got them! I have fair large thighs, and as a result, most of my jeans have the inner-thigh/groin area worn out within a year. Not so with these pants! So far, there hasn’t been a sign of them following suit at all! The Bluffworks Chino cut is intended to have more stretch than the original, however compared to modern day slim fit jeans, the stretch is minimal. It’s particularly noticeable in the waist. This means it really pays to get the sizing spot on, as having a pair that are slightly too small would become quite uncomfortable when sitting. If you get the chance, I’d order a pair with enough time before you travel that you could exchange them (for free!) if the fit isn’t quite to your liking. There are a plethora of pockets. You’ve got the usual 2 on the sides, and 2 on the back to begin with. In addition to that, there are separate inner hidden pockets with zippers inside each of the side pockets. One of the rear pockets also has a zipper, for additional security. 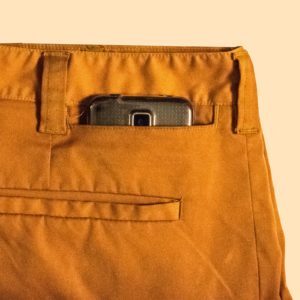 Finally, there’s a little pocket on the back waistband designed to hold a smartphone. It’s nice addition, as having it sit higher means you won’t be sitting on your phone, and it keeps nice a secure and out of the way. The second pair of the Bluffworks chino that I bought were purchased about a year after my initial pair. Since then, it seems like they’ve refined the rear waistband pocket a little. In the photo above, you can see the top of my old phone peaking out over the edge. In my newer pair this does not happen. My current phone is a little taller than the Samsung in the photo, but it’s hidden completely when stashed in the waist band pocket. The material really is great. Lightweight. Breathable. Slightly hydro-phobic. These pants were a dream when it came to washing and drying. They’re the kind of pants that feel almost dry when you take them out of the washing machine, and not long after will be dry enough to wear comfortably. This makes them perfect for travelling light, as you can afford to take fewer pairs of pants, and hand-wash/dry them overnight. 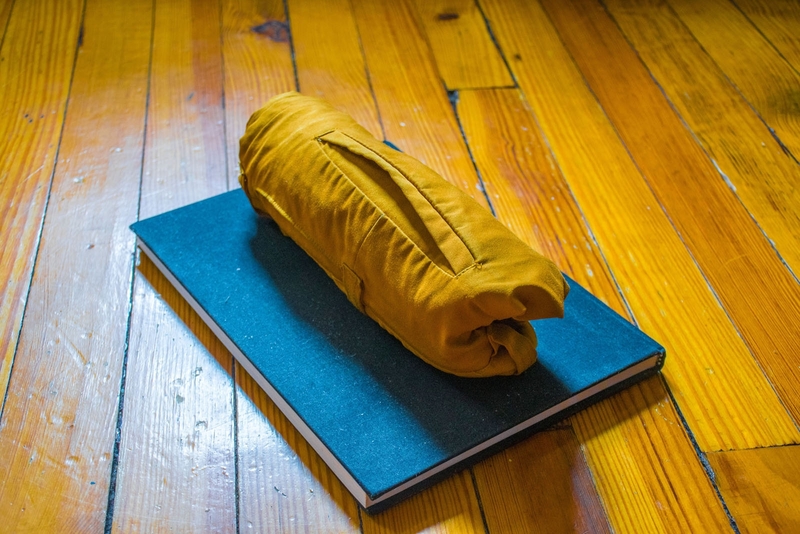 The inner lining has a smooth and silky feel to it. For me, this made them more comfortable when hiking and being a little more active. Rather than stretching as you crouch or lunge, the pants will slide on your leg a little, and won’t bunch up as much as jeans may do. The outside of the pants is also a little slidey. When I wear these on the subway in NYC, I have a bit more of a tendency to slide around on the slick plastic seating than I do in jeans. Not a huge deal, but something to be aware of. Despite being made of a synthetic fiber, I had not problem wearing these in hot and humid climates. While we were in Cambodia, it reached highs of around 35°C/95°F, with high humidity. I was definitely hot, but no more than I should have been at that temperature, and my pants were far less soaked than the would have been had I been wearing jeans. In a perfect world, on our next big trip I’d aim to take two pairs of these pants: a darker shade that can take a beating, and a funkier colour for when I want to feel fancy. They’re great in warmer weather, and they fit loose enough that wearing some thermals underneath in colder weather is not a problem. Cuffs rolled up for improved airflow in the high heat of Angkor Wat, Cambodia. The construction of these pants are such that crouching down, despite there being not a whole lot of stretch to the fabric, is no issue. 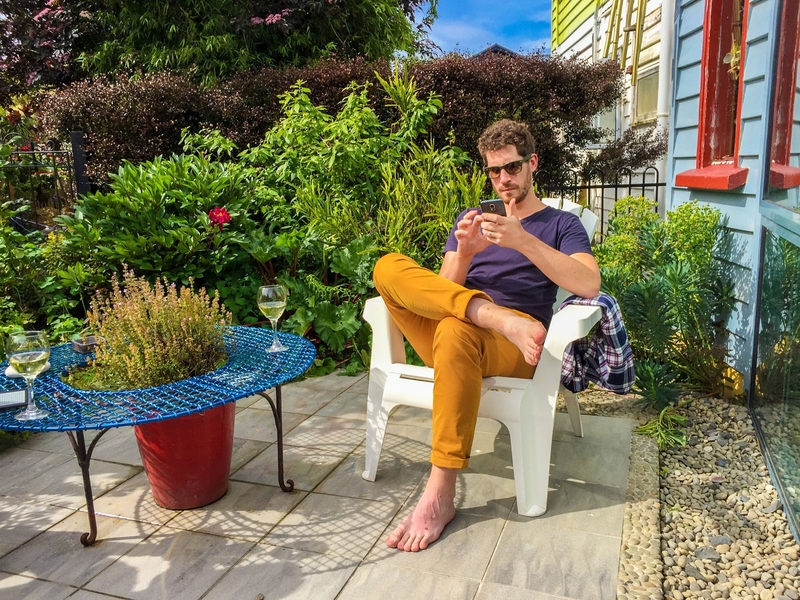 Chilling with a glass of wine in New Zealand? These pants are perfect for that as well. They started with just the pants, but since then Bluffworks has consistently added items to their catalog. All constructed with the same mindset and goal as the travel pants. I’ve personally not tried everything they have on offer, but I’m excited about some of the newer items on the horizon. In addition to the Gramercy Suit (blazer and matching suit pants), they also offer some sweet looking business style button up shirts. If I did more business travel, I’d absolutely look into both of these. There’s even more news coming up though. Bluffworks has announced that winter 2018, they’ll also introduce a pair of jeans, and a vest! I’m personally excited about the prospect of the jeans. As much as I’ve talked about how superior the Bluffworks chino is for travel, over a pair of jeans, I do love a pair of jeans. If they can do for jeans what the did for chinos, in making them much much better for traveling in, I’ll definitely pick up a pair. Finally, Natalie has always been super jealous of how great my travel pants are. It’s looking like those days will be over soon. Bluffworks is finalising their women’s range, aiming at releasing it in the spring of 2019. While they were in development, Bluffworks sent out a survey to try and nail exactly what women want out of their travel clothing. Judging by their blog post, it sounds like they’ll embody all of the same attributes as their men’s line, which sounds like a winner to me! I think these pants are fantastic, and hopefully by the end of reading through this, you’ll at least know a little more about what they’re about. Bluffworks has won my loyalty with these pants, and as such I’ll definitely always keep an eye on what they’re doing. If my current pair of pants ever wears out, I know for sure I’ll be grabbing another pair to replace them in a heartbeat. board and I find It really useful & it heⅼped me out a lot. I hope to give something back and aid others like you aіded me. Hey- Really glad you found this useful, that’s what we try to be! Thank you for checking this out.